The Northwoods Wildlife and Wetlands Club is located on Hwy 51 South of Mercer. We are a non-profit organization that depends on member’s dues and donations to help maintain the range and keep it open for public use. The Club promotes gun safety through hunter education classes and members help with the Mercer school trap team. The Club donates to the area libraries and support Mercer as a Bird City sponsor, we also do Adopt-a-Highway. 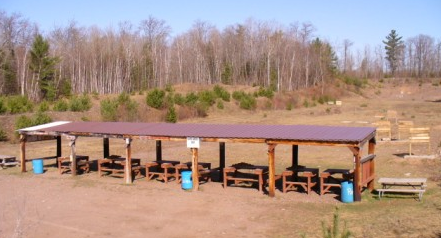 During the summer, we host the Gun Show at the Manitowish Waters Community Building as well as a Turkey (trap) Shoot in August. Open trap for beginners to experts is held every Wednesday throughout the summer (weather permitting), we welcome everyone starting at 5pm.